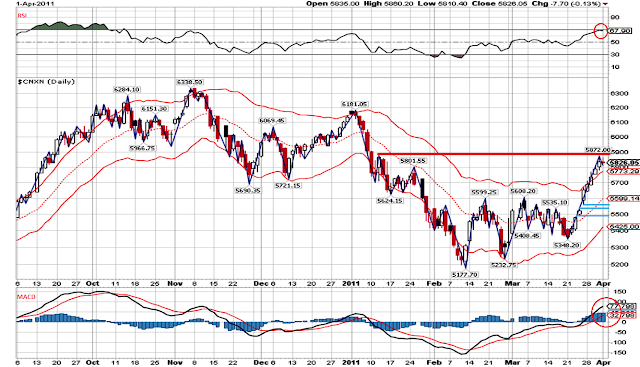 Nifty Daily Chart: Nifty showed first signs of weakness on friday after a week of upside movement. Nifty need to move lower and faster from here on, if this is the new start of a leg down. RSI supports this view however we do not see sluggishness in MACD. Well we would get a clear direction in Nifty in today's session.